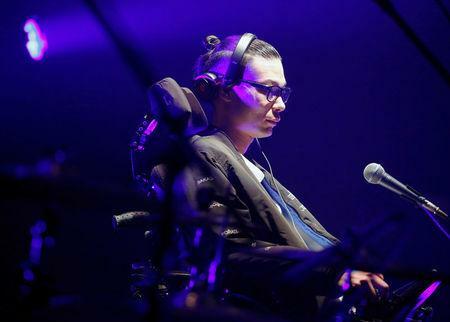 Muto, who lost the use of his hands to Lou Gehrig's Disease, wears a pair of high-tech glasses connected to an app that controls music-mixing software. Muto was a 27-year-old advertising executive when he was diagnosed with Amyotrophic Lateral Sclerosis (ALS), also known as Lou Gehrig's Disease - a progressive neurological disease in which patients gradually lose control of most of their muscles, though mental function remains unimpaired. He quit his job and founded the group "WITH ALS" to raise awareness of the disease and help other patients live their lives to the fullest. Now a radio personality, he performs as a disc and video jockey under the moniker "EYE VDJ", mixing music with smart eyewear that detects his eye movements and allows him to use an app connected to music-mixing software.